Justine joins The Center Med Spa after amassing eight years of Plastic Surgery and Aesthetic Medicine experience. Pennsylvania licensed, and Nationally Board Certified (NCCPA), she enjoys working in both clinical medicine and academic medicine as a Physician Assistant. A three-time graduate from Saint Francis University, where she maintains Adjunct Instructor status in the esteemed Physician Assistant program, Justine has the tremendous honor of mentoring aspiring clinicians. She frequently provides lectures for her peers as a National Trainer for Aesthetic Medical Educators Training and works as an Aesthetic Training Consultant for Suneva Medical. As an expert injector, she prides herself on offering the most revolutionary and safest techniques, which provides her patients with outstanding, natural results and minimal downtime. 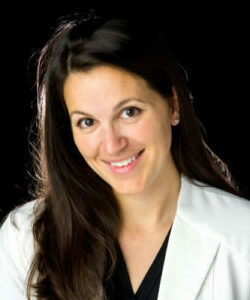 Justine is ready to help with the most complex issues surrounding vaginal rejuvenation including, stress incontinence, dyspepsia, and laxity or loss of sensation. With a broad understanding and the latest technology in Viveve Geneveve, call our office for an appointment today.